Elvira Lind, 96 min, USA, Denmark, Israel. 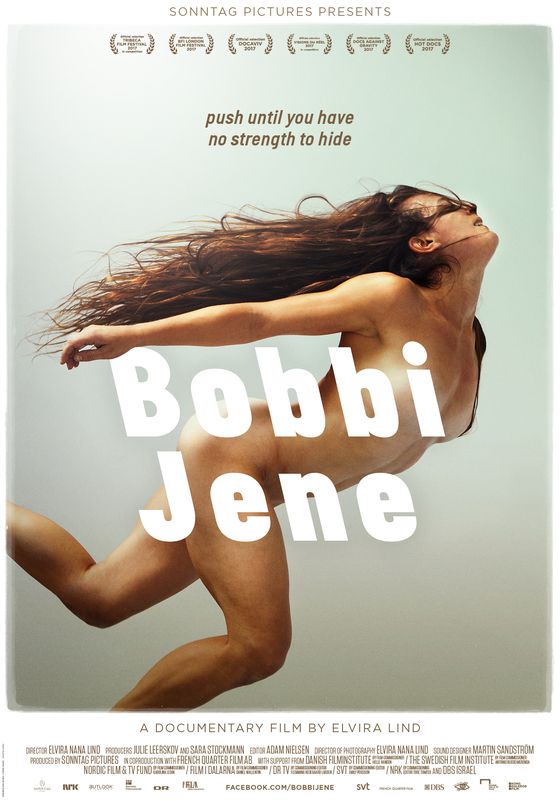 Bobbi Jene is a a film about an American woman’s fight for creative independence as she strives to succeed with her own art in the extremely competitive world of dance. The film takes us through a tumultuous time in Bobbi’s life, as she juggles her fiery love for a young Israeli man with the consequences of leaving a safe career at one of the world’s leading dance companies. She returns to the US to make her own boundary breaking performances which severely tests her endurance - both on and off stage. American dancer Bobbi Jene Smith has spent 10 years as the star of famous Israeli dance company Batsheva. She finally makes the difficult and life-altering decision to uproot her life and career to move back to the US. Bobbi first came to Israel at a young age. She’s spent the past decade under the tutelage of renowned choreographer Ohad Naharin, who radically shaped her personal life and professional work. The life-changing decision to leave is made all the more difficult considering her budding relationship with fellow dancer, Or Schraiber. Instead of allowing it to weigh her down, Bobbi uses the long separation from her home country as strength and as inspiration, allowing her to see her surroundings through a fresh lens. Back in San Francisco, she goes out on a limb and starts work on a solo choreography, channeling her experience into her work, and premieres a groundbreaking new piece. intermingles with the intimate portrayal of Bobbi and Or’s long-distance relationship. Bobbi’s natural grace and humility infuses every scene, making the film a mesmerizing and eye-opening experience. Bobbi Jene is brought to Doc Lounge in collaboration with EDN initiative Moving Docs.